Did you know that you can now print your company’s logo on all your reports and invoices generated by the Tally.ERP 9 system? Whom do you think customers trust more or rate higher on credibility—a vendor who hands over an invoice to you with the company logo on it or one who prints an invoice on a plain sheet of paper? The answer is, of course, the former. If you thought printing such customised invoices and reports meant the additional expense of getting stationery printed with your company logo, you can relax! If you have installed Tally.ERP 9 A Release 3.0 or later, you can print your company’s logo on plain paper as this version supports image printing. The logo images should be stored in .bmp, .jpg or .jpeg image formats. Go to ‘Gateway of Tally Press F11: Features and Accounting Features’. Now go to sales voucher and print. 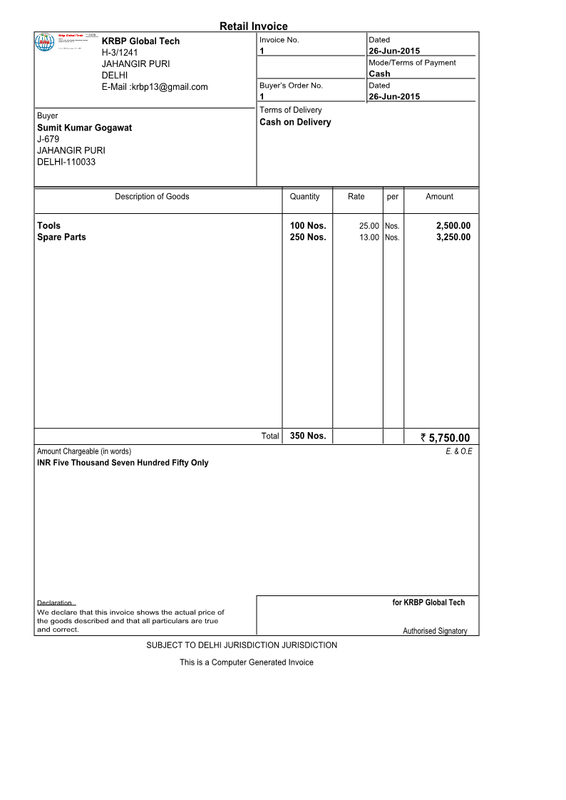 The company logo is showing left top corner in your sales invoice.